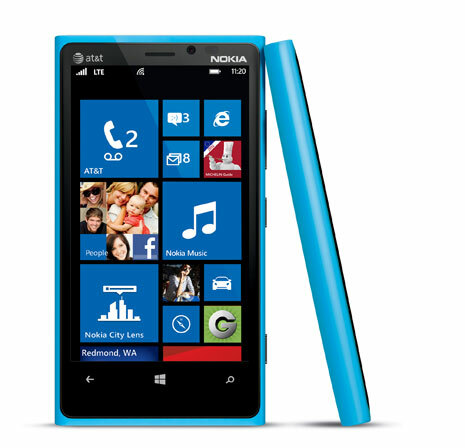 The Lumia 920 is still to hit the US shores, but it is available in Canada and Europe, so it is no surprise that reviews of Nokia’s latest phone are hitting tech websites. This long anticipated, and by Nokia definition “the most innovative phone” on the market has serious expectations to live up to. How does it do? In general, very well. The build quality on the Lumia is top-notch, the polycarbonate body is more refined than that of the Lumia 900, the screen size is now 4.5, and there is a massive battery that makes the phone last even with LTE turned on. There are a few compromises that have to be made though. One of them has to do with the heft and size of the 920. It is a big phone, and heavier than its rivals. But once you start using it, it starts feeling natural. The 1280×760 IPS LCD display which Nokia calls ‘Pure Motion HD+’ is gorgeous and ultra responsive. There is no lag or stutter, and the animations keep flowing smoothly across the screen. Its extra sensitivity allows you to use the phone even with a light glove on, but might not work so well if you are using a thick winter glove. Another great feature of Lumia is its great camera. The 8.7MP camera takes incredible photos even in low light, and its image stabilization technology works very well. Nokia achieved both these feats by putting tiny springs around the camera so that the lens shutter are less affected by your hand shaking, and keeps the shutter open for a longer time and takes in more light to deliver better low light pictures. It is out and out the best camera on a phone right now. Another strong point for the 920 is the excellent suite of apps that Nokia adds to the collection. There is Nokia Drive, Nokia Transit and Nokia city Lens. There are a lot of other apps that you would not get on other WP8 phones. Because WP8 comes with a revamped core, it can now work with more cores that previous iterations and move the display into 720p territory. Performance on the Nokia Lumia 920 is zippy and even a tad faster than HTC 8X even though they have the same processor underneath. This is likely due to the Puremotion HD+ technology which promises never to let it dip below 60fps. Given that WP8 phones have always been light on power, and have generally been more smooth and stable there is little difference to note here. Though WP8 does seem faster than WP7.5. Benchmark scores put the Lumia’s performance in the same category as the iPhone 5, which is no small feat. The ability to customize the homescreen would be welcomed by many, as it allows more information to be displayed in the same space. Other features are the same as you would find on other WP8 devices, because they are basically features of the WP8 they are running. Apart from the slightly heavier and larger build, and a lack of apps on the WP8 ecosystems there is little that can be said against the Lumia 920. It is truly a great phone, and would be a good device to get introduced to Microsoft’s phone world.